Searching for a great car buying experience? Well, on this episode of The Bistro, Jack Ballinghoff, GM from Koons Tysons Toyota, walks us through the best tips on the car-buying process. Take a listen and share this podcast episode with a friend! 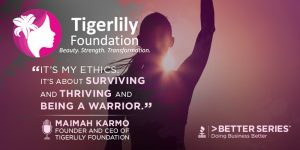 Maimah Karmo is the Founder and CEO of the Tigerlily Foundation and a ten-year survivor of breast cancer. Her organization educates, empowers, advocates for, and supports young women affected by breast cancer. This Better Series episode shares Maimah’s amazing story of how her life experiences helped guide her as an entrepreneur and a leader. 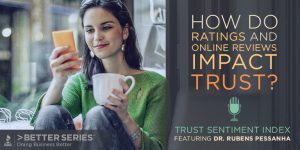 In honor of Cybersecurity month, we are bringing back one of our previous episodes on Cybersecurity myths. Learn what those who want your most valuable asset hope you believe is true. 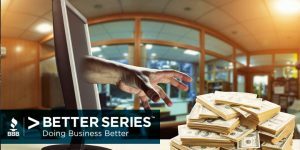 Council of Better Business Bureaus, Chief Security Office Bill Fanelli, reveals the truth behind Cybersecurity and its impact on small businesses.